The Cuisinart Pizzelle Press bakes two, thin, 4-inch Italian waffle cookies at once. Five browning shades let users make pizzelle dark or light, hard and crisp, or soft and chewy. Indicator lights guarantee perfect timing, and nonstick plates let pizzelle be removed without breaking. 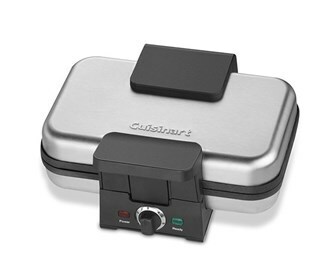 The Cuisinart Pizzelle Press has many exciting features for users of all types. 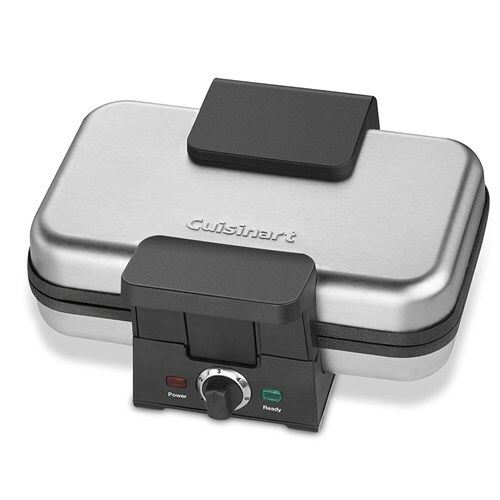 You can extend the lifetime of your Cuisinart Pizzelle Press with the purchase of a FactoryOutletStore Factory Protection Plan. See the Cuisinart Pizzelle Press gallery images above for more product views. The Cuisinart Pizzelle Press is sold as a Brand New Unopened Item.